The Genuine Genuine Cell Pal (U.S. Patent #5570827) is a modified cross draw holster which can be worn without a coat, jacket, untucked shirt or obvious fanny pack. 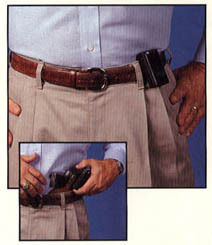 There is no need to go buy extra clothing or having to wear extra clothing to hide the fact you're carrying concealed. 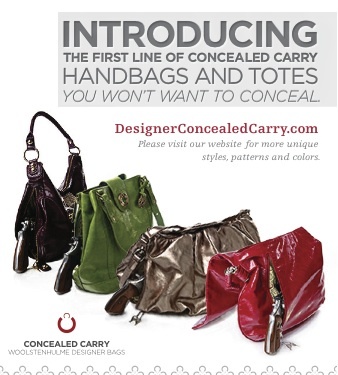 Really good looking purses are available from Designer Concealed Carry. We strongly recommend Kate's line of handbags for "off body carry", discussed in the Concealed Weapons Carry Course. Use the discount code "OSH" when purchasing.